We have a constant need for highly specialized, coveted talent and are also looking to staff up quickly to extend our product capabilities and fuel our growth. Because this talent sits at the intersection of advanced ‘big data’ technology and healthcare applications, we were ready to establish offices where there was at least the potential for a ready set of available resources, and a thriving technology environment that would attract candidates being recruited from all over the country. Born and raised in New Hampshire, and coming off of five years of weekly travel, I had an obvious bias for the Granite State. It is *not* my MO, however, to prioritize personal desires over the business imperatives of the organization. As such, I worked with an independent consultant to objectively evaluate markets in New Hampshire against several hubs across the country, using criteria such as taxes, economic indicators, health metrics, average commute, crime, education of the workforce, rankings for families and children, access to transportation hubs, and to university students. In as much as we were looking for an experienced and technically sophisticated workforce, we were working equally as hard to establish a culture of health, and one of balance for our employees. So quality of life – affordability, easy access to exercise opportunities, reasonable commute and safety – were of utmost concern. So with fate in someone else’s hands, frankly, I held my breath, hoped for the best, and waited for the report. What came back truly surprised me. Apart from a few cost of living factors easily offset by salary for the kind of talent we were recruiting, New Hampshire, in fact, ranked well above all the comparators, hitting at or near the top of rankings by the Organisation for Economic Co-operation and Development (OECD)1, CNBC2, America’s Health Rankings3, Business and Industry Association4, Politico5 – and more. The data further demonstrated a high concentration of healthcare personnel, and if sited proximally to the Massachusetts border, access to a significant population of technologists for whom a “reverse commute” would improve quality of life without adding any tax burden. With this assurance in hand – we were ready for take-off – and headed for the mills of Manchester, only 10 minutes from the airport, next to a newly minted Bachelor’s program in Analytics at UNH-Manchester and within a thriving technology hub, recently ranked #8 in Top Cities for Tech Jobs6. 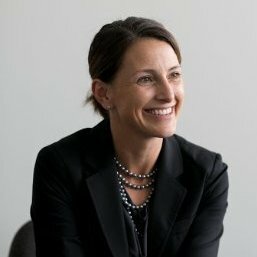 Heather Lavoie is the President and Chief Operating Officer of Geneia, a health analytics and population health company creating products and services for hospitals, physicians, health plans, employers, and brokers. Geneia has offices in Manchester, NH, Nashville, TN, and Harrisburg, PA. We are always looking for talented staff with healthcare, data and analytics expereince. To learn more about Geneia and apply for one of our open positions, please visit http://geneia.com/careers/.